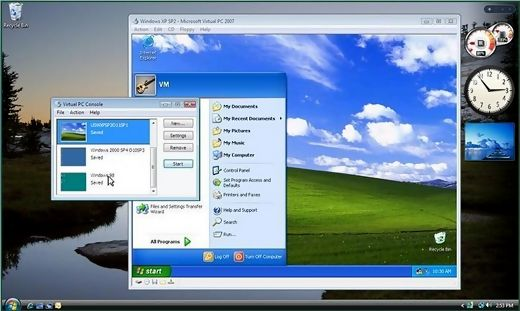 Windows Virtual PC vs VirtualBox – Which one should you use? There is a wide variety of virtual machine emulators on the software market. Although the most popular players have long ago bit the piece of a cake (VmWare Workstation, VirtualBox, Virtual PC), there are some products, which are especially effective on Linux OS and on the server architecture: Solaris Containers, QEMU, Hyper-V, CoreOS, Lguest, Parallelz Virtuozzo Containers, OpenVZ, and others. This time I would like to make a small objective comparison of the most popular virtual machines: VirtualBox and Virtual PC, what are the common features among them, what are the differences, what either of them can do and what cannot. At first, let me start from the distribution model of these two software titans. Both VirtualBox and Virtual PC apps are distributed for free, with the only difference: VirtualBox is based on the open-source license, i.e. you may find the source code of the product on the official program server, whereas Virtual PC is distributed on the closed model, without source code attached. In addition, by downloading the source code, if you have proper skills in programming, you can rewrite some functions or features, adopting them for your own sake and comfort. Also you may redefine some algorithms, so that they are better working on your PC, or look nicer. The limitations of the modifications are linked to the OS architecture only, so you receive definitive profit with redesigning the source code of the utility. Next part, which I would like to compare, is the support of the state snapshots. VirtualBox fully supports this feature and allows to save snapshots of any state of the operational system, reducing time for booting and turning off the system in the ordinary way. At the same time, in Virtual PC there is an embedded way to implement this feature via the graphical interface, but only one accessible save state point is available in the snapshot. Thus, VirtualBox receives a plus in this category. 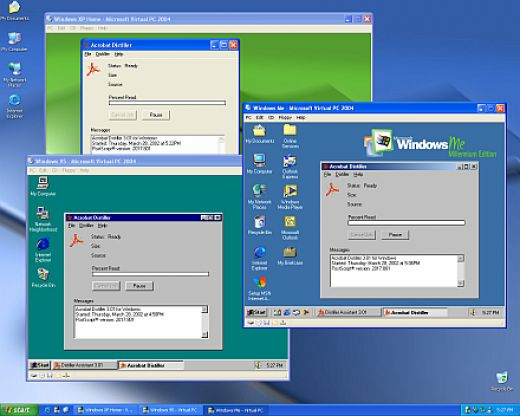 Next point, which is tested, is the compatibility of virtual disks images. VirtualBox is capable to recognize and use any virtual disks images, including the native formats typical of Virtual PC and VMWare. During the testing I could attach to the virtual machine, created via the VirtualBox, the hard disk images, which were generated in the appropriate apps from VmWare and Microsoft, and after that load the guest OS from them. 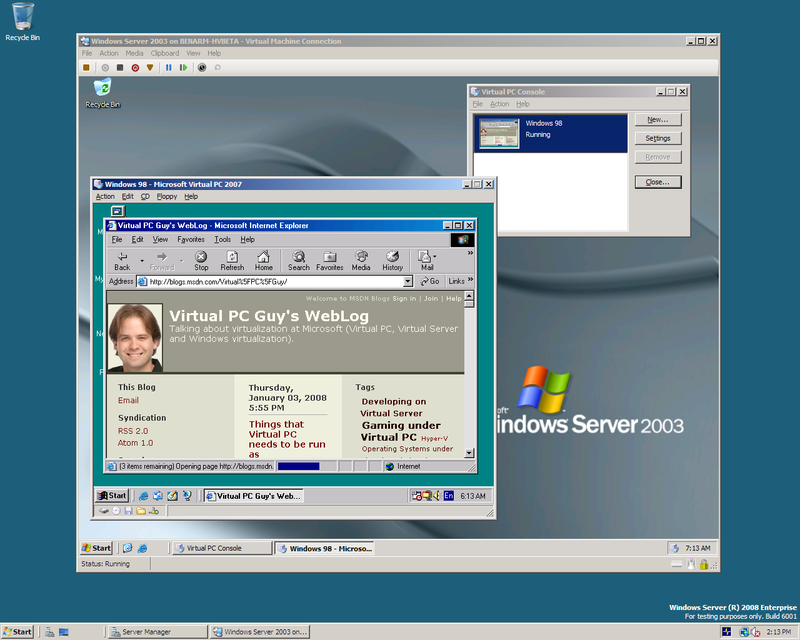 Nevertheless, Virtual PC supports only its native format, and doesn’t recognize any other extensions. What should you do, if you require to open the file in external format with Virtual PC? Luckily, there is a way to transform the image from the VirtualBox native extension to any other format, - that is a small utility called Vboxmanage. As you, perhaps, guessed, this tool is included into the VirtualBox package. Regarding the rest, the possibilities of VirtualBox and Virtual PC are quite similar – you can use drag’n’drop, shared folders feature, attach USB-devices, clone the OS image and perform another functions, inherent in other emulators.